It is the author's responsibility to conceal their identities throughout the manuscript except on the title page (numbered page 1). Authors are strictly advised to present original work in their manuscripts. They should avoid any possibility that may present the work of others (or their own previously published work) as if it was their work. This can be achieved by crediting the source of information whenever and wherever needed. Please note that PJERE has a very firm policy against plagiarism or self-plagiarism. The materials, views, and beliefs presented in published paper(s) of PJERE rest solely with the author(s). PJERE team does not take any liability of the authors' opinions. The title page should include information about: title, running head, author by line, institutional affiliation, corresponding author's details, and author note as indicated in APA manual, 6th edition. An abstract of 150 to 200 words should be provided on a separate page, (numbered page 2). The authors should provide a maximum of 5 keywords right in the next line where the abstract ends. The text should start on a separate page, (numbered page 3). The authors may choose to follow either British or American English, however it should be consistently followed throughout the manuscript. The references, tables, figures, and appendices should all start on separate pages. PJERE recommends using a uniform typeface, Times New Roman, with 12-point font size in accordance with the APA manual, 6th edition. The whole manuscript should be double-spaced. Authors are advised to consult APA manual, 6th edition. for further information regarding formatting, margins, layout, line length and alignment, paragraphs and indentations, special characters, page numbers and running heads, spelling checks etc. The authors are advised to attach a cover letter along with their manuscripts. The cover letter should include the following elements. A statement that the manuscript does not contain any interpretation that may directly hurt any section of the community on the basis of race, religion or socio-cultural aspects. The approximate length of the manuscript should range between 4000 to 8000 words (excluding references, tables, figures and appendices). PJERE is published by the Department of Educational Research and Evaluation, Institute of Education and Research, University of the Punjab, Lahore, Pakistan. 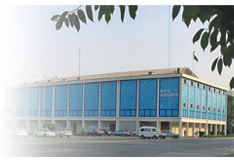 Consequently, the copyright of all the materials published in the PJERE rests with the Department of Educational Research and Evaluation, IER, University of the Punjab, Lahore, Pakistan. However, the papers published within PJERE solely reflect the views of the authors. The Editorial Board or the publishing authority do not necessarily agree with the ideas presented in the papers, nor do they have any responsibility for the accuracy of the content. The authors are encouraged to review the 'Checklist for Manuscript Submission' (APA manual, 6th ed. pp. 241-243) before submitting their work to PJERE.